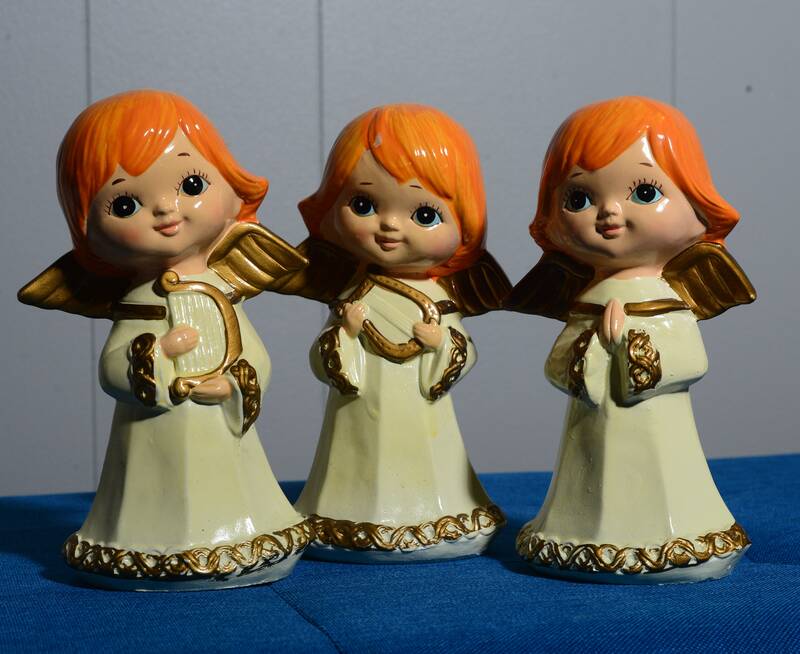 A great find 1960s made in Japan Angels paper mache with original box, and gold foil label on base. 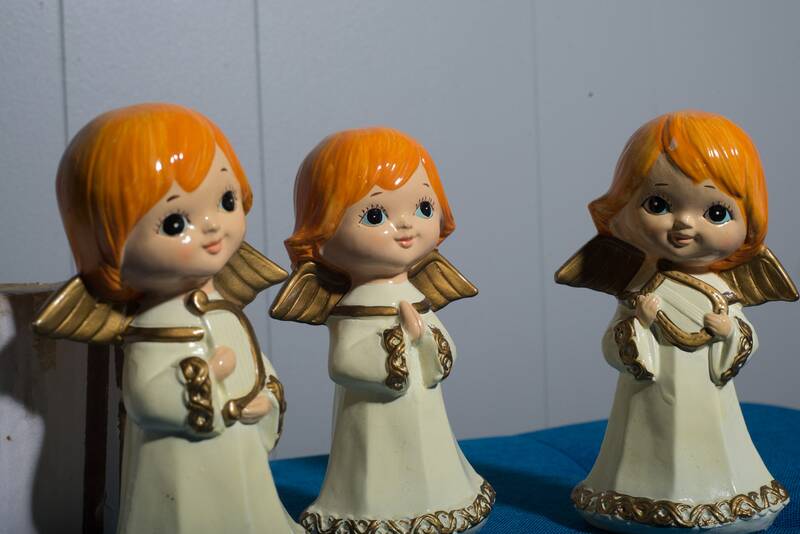 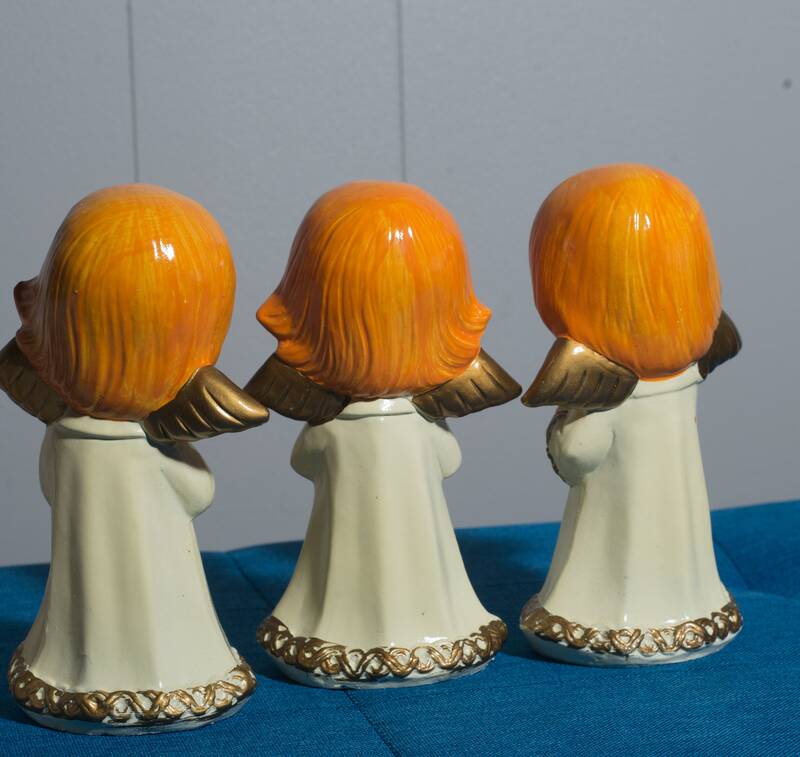 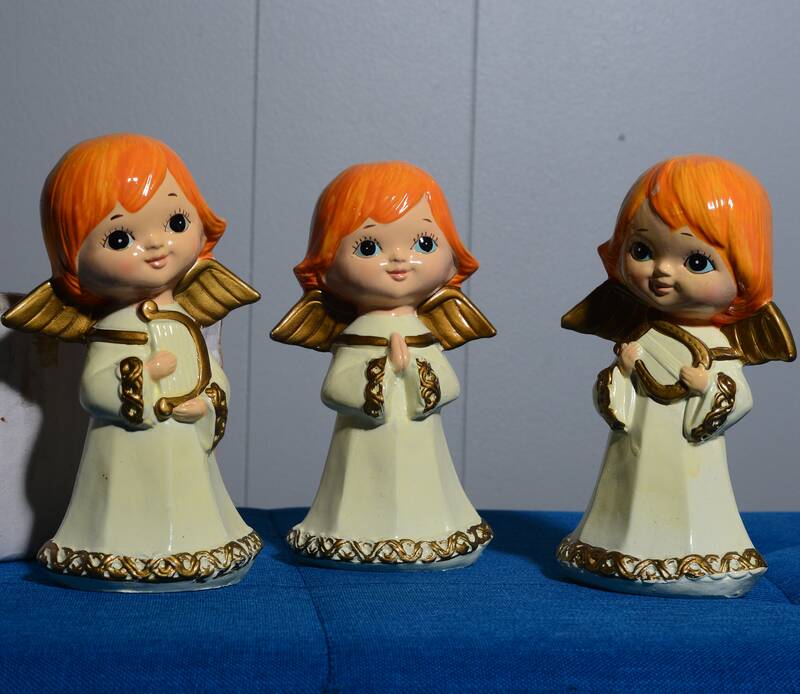 Each one with brigh orange hair , a choir of angel decorations. 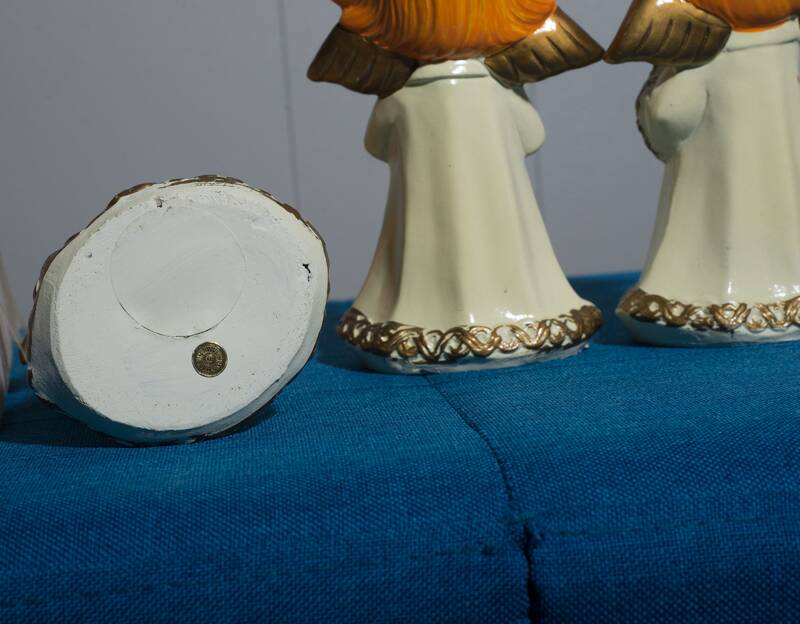 Measuring about 7 inches high each. 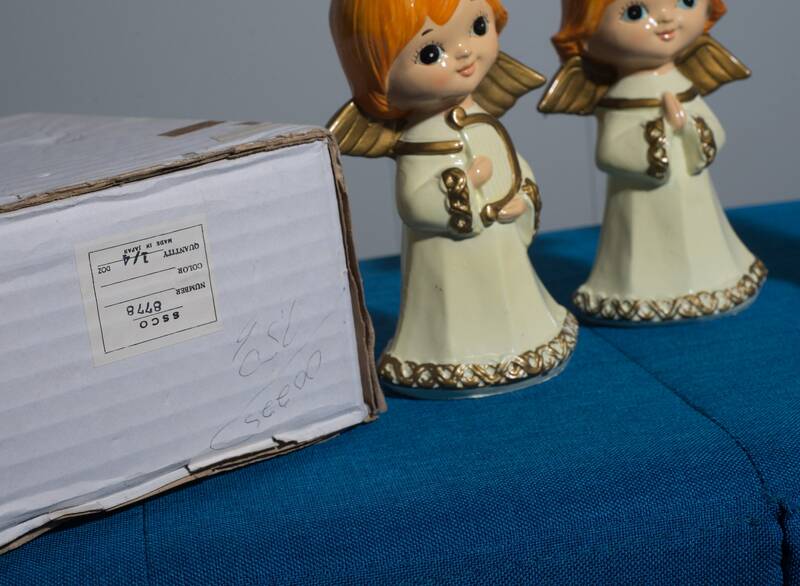 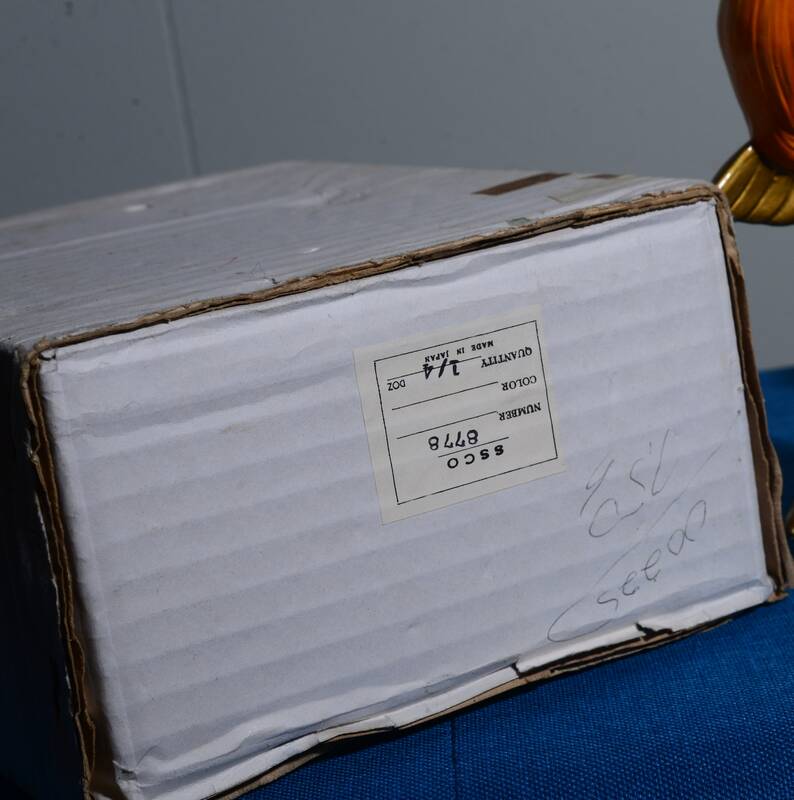 They are in excellent condition, and don't appear to have any damage. 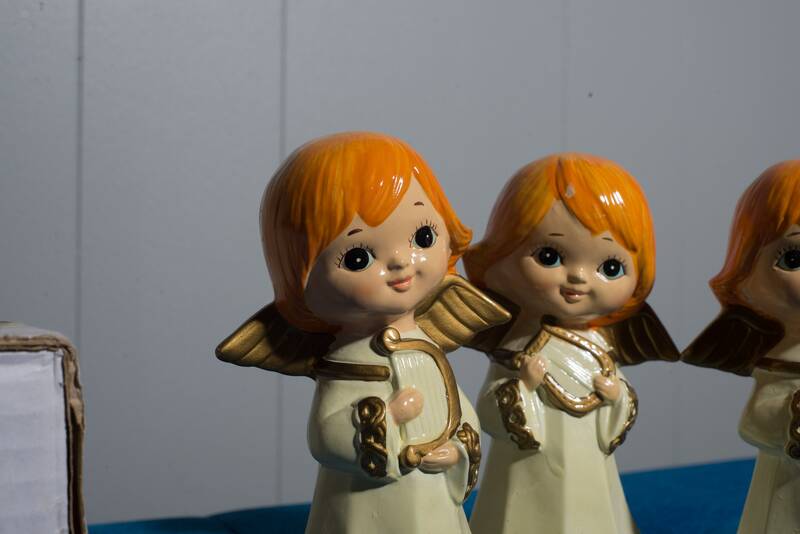 They will make your retro Christmas decorating really pop with their bright color and big eyes.